Back in the day, back when I was about twelve years old, there was a show we all used to watch on TV, called “News Free Zone” (okay, it was a while ago. In the interests of full disclosure I have to admit that Mr. Google helped me out yet again with the name of the show, although he doesn’t have much at all to say about the rest of this post. The rest of this is all my thoughts and memories, so you’ll just have to put up with any inaccuracies). Back in the day, back when I was about twelve years old, there was this sketch comedy show, and none of it is particularly relevant, except that it had this one regular segment called Australia Street, which chronicles the stories of the inhabitants of a share-house, each resident reflecting a state of Australia. Remember that show anybody? With the prissy Victoria Bitter, and Sunny Queensland with his floppy hat? Okay, it was the 80s. It was a long time ago. But it was kind of funny. And even if I didn’t fully get the jibes about the stereotypes of each state at the time, I did get the bit about Tassie. I was from Tassie. Heck, I was IN Tassie, and one thing I knew was that you don’t get many representations of Tasmania on TV or movies, or in stories. So in this share-house on Australia Street, Tassie Franklin was a large hippy-ish woman living in a shed out in the back yard. She wandered in from time to time, eating an apple (Tasmania is famous for growing apples), and she’d say dim-witted, random things, and everyone would humour her for a few minutes and then tell her to nick off so they could get on with what they were meant to be doing. Something like that. Good old Tassie. Left off maps and generally forgotten. Lives out in the back shed. In-bred. Two heads. Something about a convict past. I remember the attitude back then, whether implied or spoken, that anyone with a brain gets out of Tassie as soon as they can. That the obvious step for anyone with some intelligence is to leave for the mainland. And many did. My friend questioned too, what does that do to a place when all the thinkers are encouraged to leave. When we were in Canada we stopped at a bakery in a little town in Southern Alberta, run by an Australian woman, from Wollongong. We chatted a while, and she said “Tasmania eh? You don’t meet many Tasmanians!” We talked about how long she’d been in Canada (some twenty years now), and how she’d had a Tasmanian friend once, and how expensive it was to get to Tassie, which prohibited a lot of Tasmanians from travelling to the mainland, and limited others from travelling as often as they’d like. I remember the miracle that happened in the early 90s when budget airlines first began their Tasmanian operation, and suddenly poor students like me could travel, some for the first time in their lives. I never chose to live here. I just…did. And after a while you learn to accept that people are coming now, moving TO Tassie and not just from it, intelligent people, thinkers, and not because they think it’s…sweet. Here’s an amazing thing though. When I was in the US I met people who thought I was interesting, fascinating, exotic even, because I was from Tassie. I met people from cities wider and vaster than my entire state who thought I was the exotic one–not the simple one, not the stuck one, not the one who’s obviously inbred-two-headed-less-than-intelligent–the exotic one. It made me think about Tassie differently. It made me see the stereotypes for what they are–stereotypes, from people who had little real experience of the a place rich and beautiful and steeped in history. It made me happy that, even if by default, I chose to live here. And, most importantly, it fuelled my desire to write Tasmanian stories. I’m doing it now. I’m kicking off on a new novel, a Tasmanian novel, which is partly why I’m exploring these thoughts. I’d love to know how common these thoughts are. Are you Tasmanian? From the mainland? 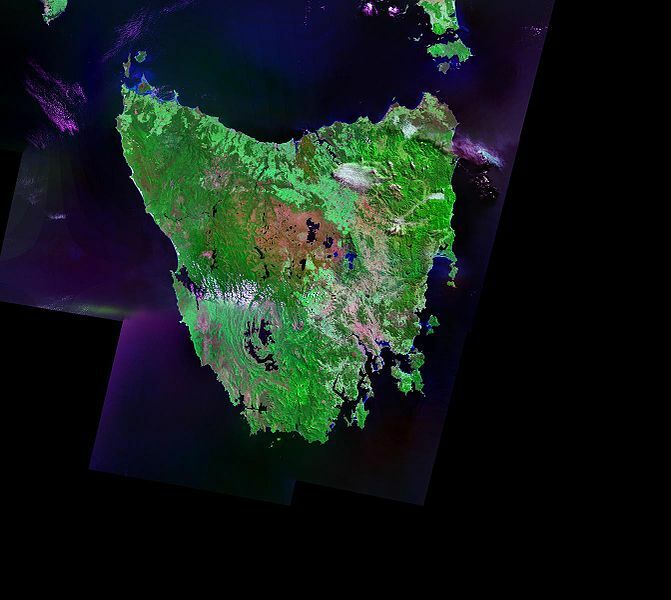 From elsewhere, and never heard of Tassie until you started reading my blog? Drop me a line. Help me with my research. Tell me YOUR Tassie story. Please?